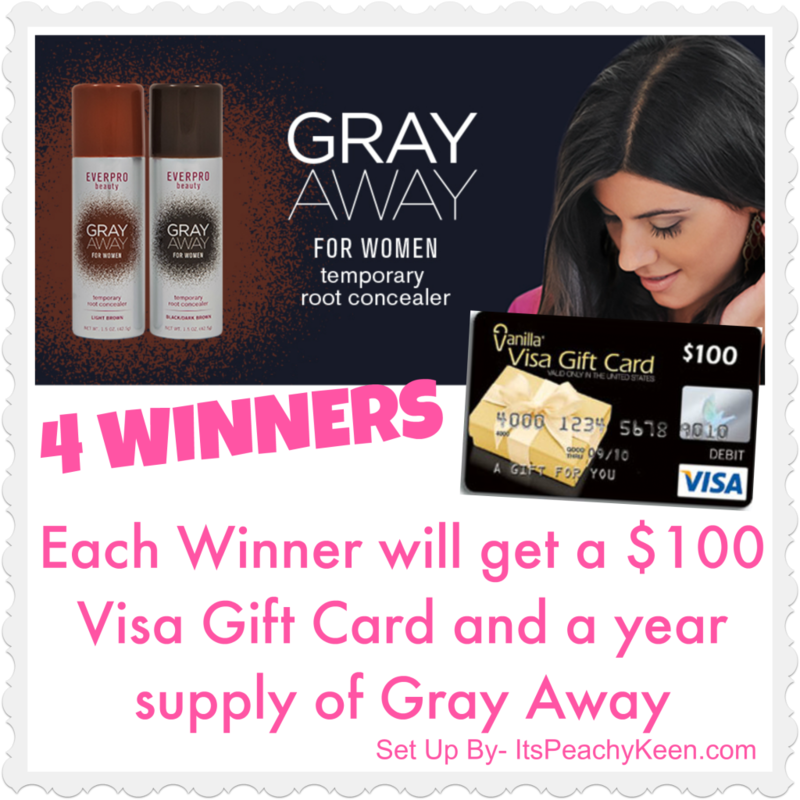 This blog did not recive any type of compensation or product for posting this giveaway. All opinions are mine and mine alone. So, you get to keep your hair beautiful and go shopping? This is an awesome giveaway. Thanks so much for letting our readers get a chance to win! This giveaway will have 4 winners. They will have 24 hours to respond via email. Must be 18+ or older and open only to the US. Residents only. Excludes Alaska and Hawaii. This blog is not responsible for the prize or shipment mishaps that may happen. This giveaway ENDS May 3 at Midnight EST. I’d give the Gray Away to my mother to use. I could use it on my hair because I’m in that stage of having grey hair but it’s just in spots.